Three Cats Brewery - Beer with Claws: It's suppose to look like that, honestly! It's suppose to look like that, honestly! English has several idioms that mean basically the same thing: To "Con" or to "Gip" someone means to deal with them unfairly. The terms come from the words "Convict" and "Gipsy" respectively, with the second one reflecting the popular belief that Gipsies were thieves. I mention this because over the last couple of years that I've been pouring beer for people I've come to the conclusion that Israelis tend to think that whenever I pour them a beer, I'm trying to "Gip" them by giving them a beer with, heaven forbid, a visible head of foam on it. Israelis seem to think that foam is a vise, and that it has no place in a beer cup. That I pour them foam because I'm trying to save on beer and steal their money. The Irony is that Israelis also really love Wheat beer, which is the biggest head-producing style there is. The combination of these two factors often lead to unhappy customers that, having been conditioned by low-head, low taste lagers, complain to me about only pouring them half a beer, and trying to save on them. If anyone serves you a beer that doesn't have any head on it, send it back. It's bad. Seriously. We (brewers) put a lot of effort into our head. We mix in special grains, fiddle with carbonation, beer line length, and aeration, and have a standard of glass cleaning that wouldn't be out of place in a hospital. All to make sure that when you get a glass of beer, it'll have a nice cap of foam on it. When you insist on not having the foam, you're insulting the beer, and you're insulting the brewer. 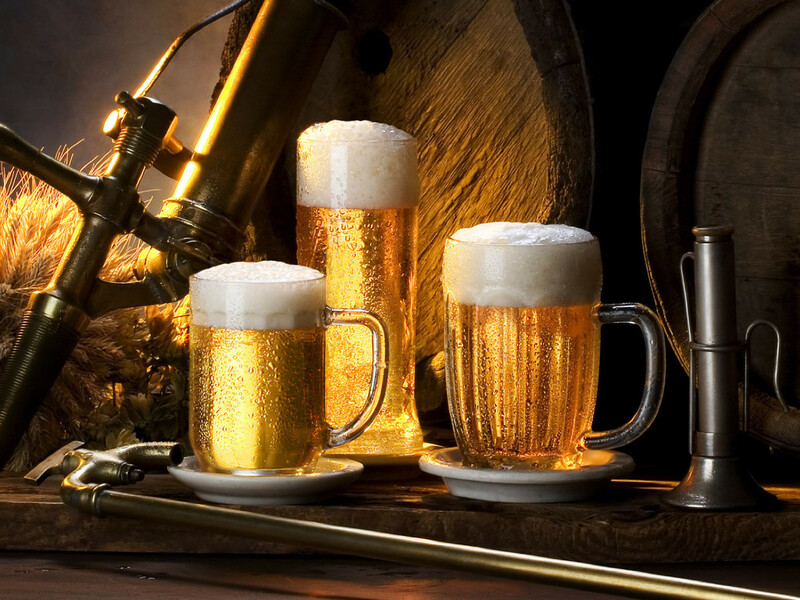 And the thing is, beer is not only a a drink, it's an experience that involves all five senses. It's not just something you drink, it's something you smell, and feel, and look at. A clear body topped with a tall foamy cap is a beautiful thing. Take a moment to admire your beer before you guzzle it down. If your only purpose for drinking is to get drunk then, frankly, there are faster, easier choices. Beer, good beer, is an experience to be savored. In this context I want to take a moment to thank whoever it was who came up with the notion of putting measure lines on beer cups. It's great. It lets me, as a beer server, show the customer that I'm not cheating them. That they actually got the full third or half liter they paid for, and then some in the form of foam. People don't like to feel like they're getting taken advantage of, I understand that. And even though that feeling is the result of their own lack of understanding, it's much easier to make the point when they have visual confirmation. In other words, it's easier for me to say "no no, it's suppose to look like that" and make it stick. In the hope that if I say that enough time to enough people eventually some of them will change the way they see the drink. Change come slowly. But it does come. I do see people who take my beer, look at it, smell it, feel it, taste it in small sips instead of throwing it down. We're working against a long tradition of "quaffing" and "throwing back a pint". And while you can rile against people's ignorance, it does no good to yell. It's better to try to educate, one drinker at a time. So I keep pouring, and (when I have the time) I talk to people about the experience of beer. And I invite them to visit our local brew pub and enjoy a real drink. And I keep dreaming. I dream of the day when someone hands me back a glass and says "I don't like this, it doesn't have enough head on it..."
Labels: beer, beer culture, foam, head, Israeli beer scene.